Blog posts converted to speech for productive commuters. 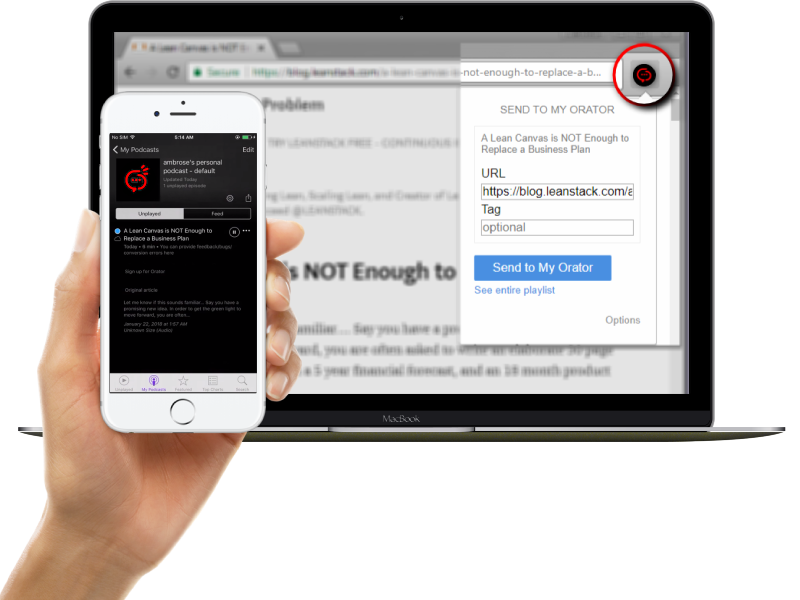 My Orator can convert articles to audio & add them to your podcast app so that you can be productive even while you travel. Use the default podcast app on iPhone/Overcast or Podcast Addict (Android). Save the article to Pocket using their apps, listen to it with My Orator. "Alexa, ask My Orator to play [title]"
Share the current page from your mobile browser to Orator's email address.